Can permanent make up really look natural? For most people who are getting into semi permanent make up for the first time, the idea is not to look like they’ve put all their make up on all the time. What clients usually ask for is a more natural, beautiful look, which doesn’t necessarily look made-up, but just better than their bare naked face. Expertly applied makeup can help accentuate natural beauty, and the hope is that permanent make up can do this too. But when you’re talking about eyeliner tattoos and permanent lip colours, is it really possible to get a ‘natural’ look? 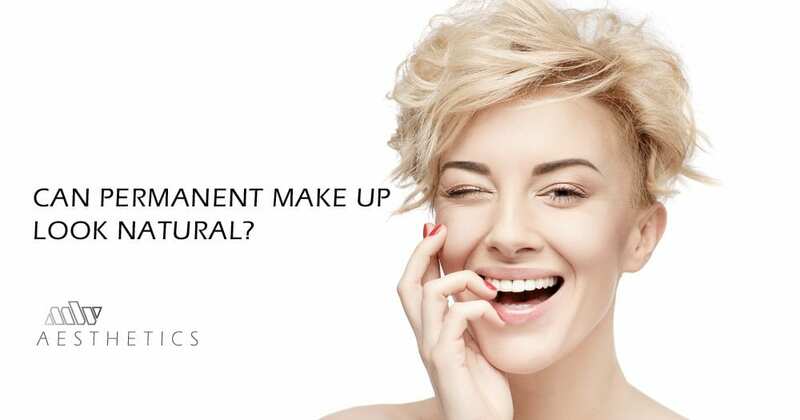 The good news for those of you who prefer a subtle, un-fussy look, is that semi permanent makeup can definitely look super natural. 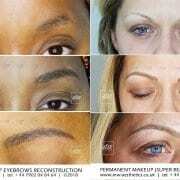 If you’re open to taking advice from your practitioner, and are willing to follow instructions, there is no reason at all that you can’t achieve natural looking eyeliner tattoos, lip contouring or tattooed eyebrows through the use of micropigmentation. All practicing technicians will have undergone extensive semi permanent makeup training, much of which will be based around creating a natural look. From creating individual hair strokes for your eyebrow tattooing through too keeping a perfectly steady hand for the most natural of eyeliner tattoo finishes, we aim to create a makeup look that is even more natural than your own, conventional make up would look. We don’t want to do all your make up for you. We simply want to create a solid base from which you can wake up with confidence, go out without worry and add your own twists and shades to in order to create new looks for special occasions. Permanent makeup aftercare is particularly important, as poor ongoing care can lead to unsightly colour fade and problems with the pigments. Factor a touch up trip to your technician in at least once every 18 – 24 months, so that they can spot any issues in plenty of time before they develop into major problems. If you’re very fair and you want thick, black eyebrows, it’s just going to look silly. Similarly, when we work on your lips tattoo, we don’t want a shocking pink or deep red colour that’s miles away from your natural tone. We want to pick something similar to your natural shade, and simply accentuate what you’ve already got rather than try and create something else. When we ask you to come for a ‘touch up’ appointment after your first treatment, there are a couple of reasons for that. Firstly, we need to see how the area has healed, and make sure the shape of your semi permanent tattoo is as we agreed it would be. Secondly, we never know quite how the colour is going to take on different skin types, and we want to make sure it’s noticeable but not overpowering. We tend to under-tattoo on the first appointment, if anything, and then add to it to produce the perfect look when you come for your second visit. Sure, metallics are all the rage this season, but do you really want to live with a silver lip tattoo for the next two to three years? Going ‘on trend’ with makeup is a bad idea in anyone’s book, because you never know where things are going to go, and within a couple of months you could be seriously out of fashion. Our job is to give you an amazing natural look, to which you can add your choice of shades, colours and textures to keep up with the in crowd as much as you like. Right now, you’re used to the way you look without makeup. 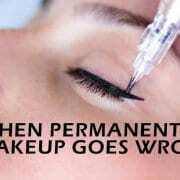 Once you’ve had your semi permanent makeup done, you’ll begin to get used to that too. 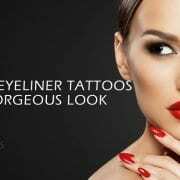 Soon, the image of yourself with a subtle lip colour and thin eyeliner tattoo will be the norm, and you’ll be back asking for more, more, more! As much as we like to generate business for ourselves, we don’t want to send our clients away looking like painted clowns, so when it’s needed, we will say no! We want to help you achieve your best, natural look, and to enhance your own beautiful features to create a face you’re happy with all the time. Semi permanent tattoo procedures can save time and money in the long run, and can eliminate the embarrassment of having mascara or eyeliner running down your face if it rains or you experience an emotional moment. Of course, you’ll always see the shock stories and the horror images plastered across the tabloids, where clients have either visited less than reputable make-up artists or have demanded more tattooing than really looks good, but these are most certainly not the norm. Talk to us today about enhancing your natural looks, and cutting the time and money you’re currently spending on makeup. Talk to us today to find out more about how micropigmentation could help you. From eyeliner to eyebrows and more, here at MW Aesthetics our goal is to make you the best you can be. Contact us for an informal chat and see for yourself why semi permanent makeup is the fastest growing cosmetic treatment in the UK today. 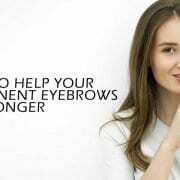 https://www.mw-aesthetics.co.uk/wp-content/uploads/2015/11/Can-permanent-make-up-look-natural.jpg 525 1000 Marek Waclawczyk https://www.mw-aesthetics.co.uk/wp-content/uploads/2018/10/MW-AESTHETICS-LOGO-2018d.png Marek Waclawczyk2015-11-28 10:15:412018-10-20 19:44:26Can permanent make up really look natural? 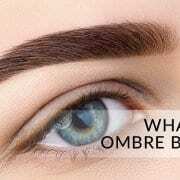 Eyebrow tattooing – Is it really worth it?